Rather than providing you a list of things you shouldn’t use in cleaning travertine and marble floors (it’s a very large list), for the sake of brevity I give you the one solution you should use to routinely clean your travertine: a pH-neutral (-7), non-chelated cleaner specifically designed for natural stone. Nothing else. Ever. Period. (Yes, “nothing else” includes Swifters and Windex!) For those of you not familiar with chelates (pronounced kee’-lates), they are chemicals added to detergents and cleaners (including many routine stone cleaners) to “soften” the water by sequestering “hard water” minerals (such as calcium) from the detergent so it can clean more effectively. Sounds good, right? Wrong! Remember what your travertine is primarily composed of – calcium! 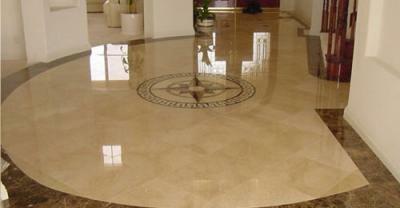 Floors cleaned with chelated products look dull, drab, and lifeless. We highly recommend any pH-neutral (-7) cleaner. TLC Carpet Care proudly serves Castle Rock, Parker, franktown, Elizabeth, Kiowa, Sedalia, Larkpur, Lone Tree, Highlands Ranch, and Centennial CO.